The goal of this book is to answer the question What is differentiated instruction? 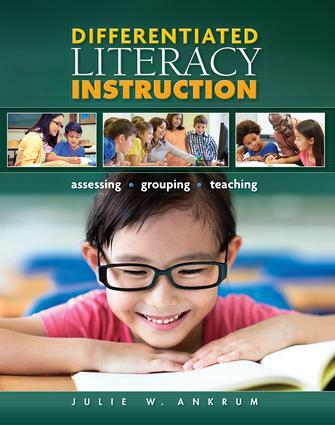 It offers pre-service and in-service teachers the background and foundational skills they will need to understand, plan for, and achieve effective differentiated literacy instruction in their classrooms, based on individual student needs. Chapters provide essential information about how to analyze and synthesize data from assessments, use the information for grouping students, and then plan and implement differentiated instruction. Many specific, hands-on descriptions and exhibits are provided. Case studies of real classrooms demonstrate effective differentiated instructional techniques. End-of-chapter Practical Application questions allow readers to apply chapter concepts as they learn to motivate and teach diverse learners. Julie W. Ankrum is an Assistant Professor in the Department of Professional Studies in Education, Indiana University of Pennsylvania, USA.